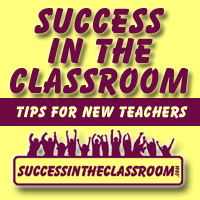 In this podcast, I share one of my favorite Teach Happier strategies that I include in my book, Teach Happier – 20 stress-reducing, joy-inspiring, burnout-avoiding, strategies to help teachers love their jobs and have more success in the classroom. It’s the strategy I call, The Gratitude Wall. When we identify those people who have helped us get to where we are through their support, encouragement and inspiration, we can invite one of the greatest contributors to our happiness – gratitude. The Gratitude Wall helps us do this. This is one of the strategies that will be included in my upcoming book, Teach Happier – 20 stress-reducing, joy-inspiring, burnout-avoiding, strategies to help teachers love their jobs and have more success in the classroom. Sign up to be notified when the book is available at TeachHappier.com.